Many investors see timberland as a safe place to put money. 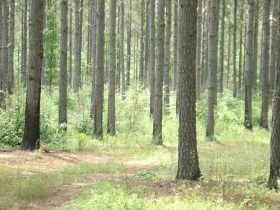 So, if growing trees for money is why you want to buy rural land in Alabama, here’s a tip and the reasons why. The difference in tons of wood grown by a natural forest and a planted pine forest can be 425% over the life cycle of the investment. Planting pines lets you control three key variables that have a huge impact on profitability. Natural forest (not planted by man) tend to be a mix of pine and less desirable hardwood. When pine is planted, any existing less-desirable hardwood is first killed, increasing the amount of higher-value timber grown, and decreasing the amount of competition these higher-value trees face. In natural forest the trees can be too close together (which limits diameter growth) or too far apart (which lowers volume & harms lumber quality with big knots). Controlling the spacing increases the financial return by growing more timber and protecting quality. In the last 25 years, genetic scientists have given us a loblolly pine that resists disease and grows significantly faster and straighter than those found in nature. These pines will make you more money than any other tree in Alabama’s forests. 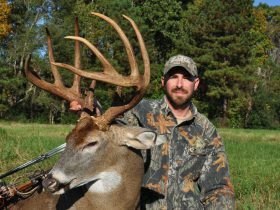 The cost of planting on your Alabama land is well justified. Spacing between trees planting with different species.